Upline Moving puts our customers first, always, and provides all the services you'll need for a hassle-free move. Kid-friendly attractions, excellent schools, and endless outdoor activities make San Mateo a wonderful place to raise a family. We should know—our family-owned business has served this community for more than a decade. If you’re planning a move from San Mateo, Upline Moving will help you enjoy a hassle-free move. Our dedication to earn 100% customer satisfaction on every job hasn’t gone unnoticed. Our residential movers have earned long-standing accreditation from the Better Business Bureau and many industry awards including the Angie’s List “Super Service Award,” and San Francisco Magazine’s “Best Mover of 2017.” Moving in town? Enjoy a hassle-free local move with our superior, customer-focused service. A long distance move requires a lot of work including packing, hauling, crating, and much more. At Upline Moving, you can choose full-service moving or create a budget-friendly custom package that allows you to choose just the services you want. 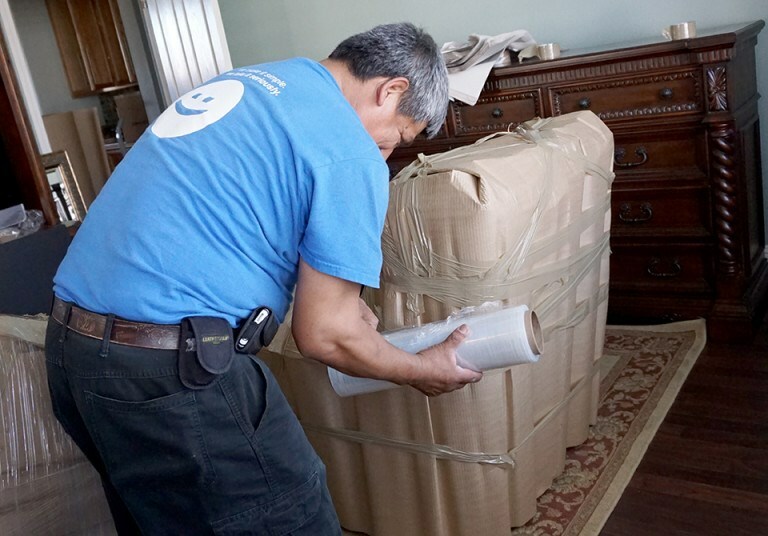 Either way, you’ll enjoy peace of mind that comes from working with San Mateo residential movers who treat your belongings as carefully as they would their own and help guide you through the moving process from start to finish. Last Minute Movers are No Problem for Us! Did you find out you have to move in just a few days? Don’t panic! We’re experts in last-minute moves, and we’ll handle everything and make sure deadlines are met. Our expedited moving services can be used for either local or long-distance relocations. Take a deep breath and let Upline Moving take care of everything. We offer 30 days of free storage with every move, but we know that many people will need to store their items for longer than that. That’s why we offer affordable short term and long term storage in our secure facilities. We can safely store everything from fine art to kitchen cookware. Store your items for as long as you need and then, when you’re ready, we’ll deliver them right to your door. Upline Moving doesn’t provide estimates. Instead, we carefully review your belongings and provide an accurate price quote that is guaranteed. Contact our Bay Area movers today for more information or to schedule a free, in-home consultation and quote. Give us a call or fill out our online form now to get started.